Welcome Seaboard USY Alumni! We would love to reconnect with you! 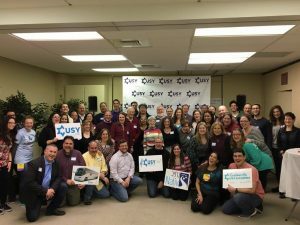 Please use this section to submit your current contact information, post and enjoy old Seaboard USY pictures, check out pictures from past Seaboard USY alumni reunions and find out about upcoming events for alumni. If you’re interested in getting more involved as an advisor or helping to coordinate an alumni event, please contact blo...@uscj.org.